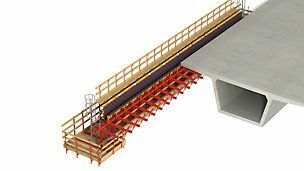 Civil Engineering Systems for tunnel and bridge construction usually feature a combination of shoring and individually adapted formwork. 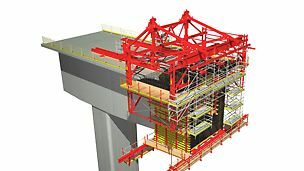 The planning must include structural dimensions, construction method and the entire construction process. 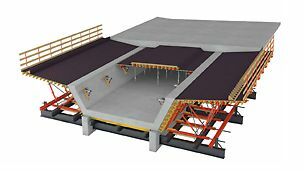 In tunnel construction, the geology significantly determines the construction method as well as the construction procedure. 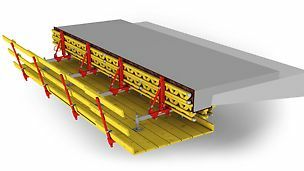 This, in turn, determines the requirements for tunnel formwork. 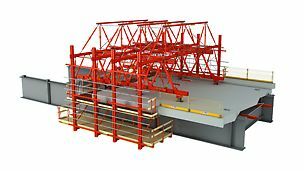 The shoring is usually executed in the form of a mobile formwork carriage. 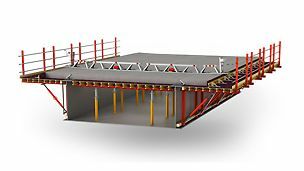 For bridges, the geographical boundary conditions determine the construction procedure and thus the formwork solution. 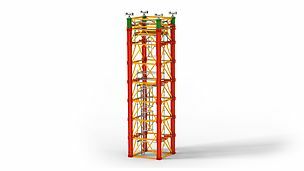 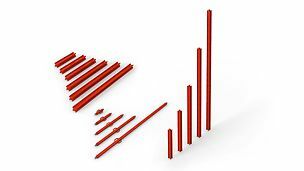 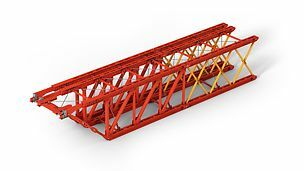 Realization of the superstructures can be carried out using shoring constructions, the incremental launching method, steel composite method, or the balanced cantilever method. 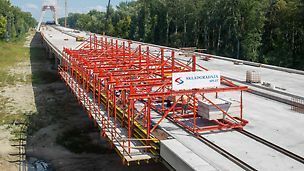 Parapets are subsequently concreted which have a technical protective function and form the architectural completion of the bridge superstructure. 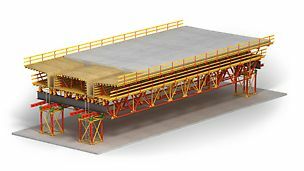 Practical, sophisticated modular construction systems are designed to facilitate cost-effective solutions for the majority of all requirements in civil engineering. 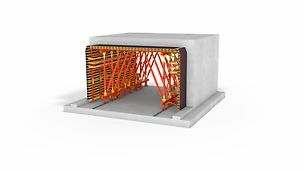 In the process, the focus is on a high proportion of rentable core and system components which cover the very wide range of applications used in tunnelling, bridges and general civil engineering.